Pinterest may be the third largest social media site after Facebook and Twitter, but it's still a relative newcomer to the scene. Businesses are actively searching to create boards and pins that inspire customers and promote their brands. 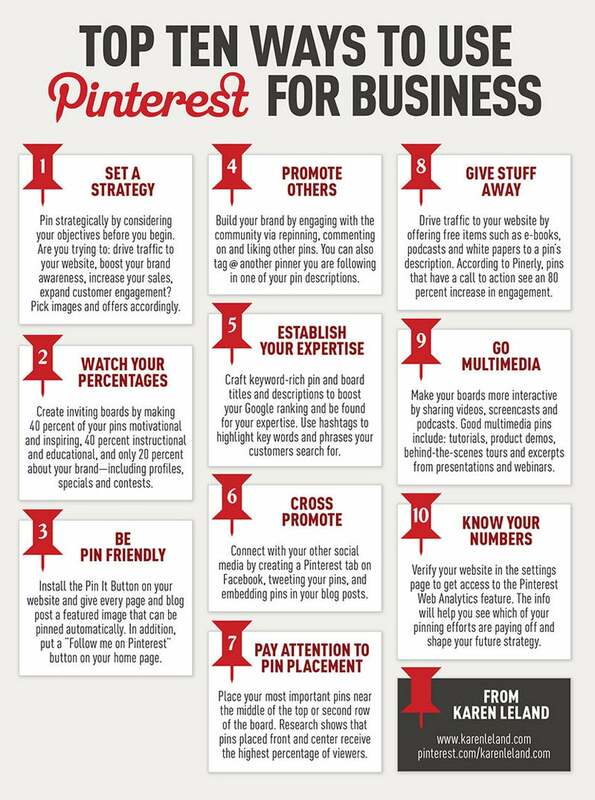 From integrating with other social media to pin placement to image creation, there is a learning curve for many companies getting started on Pinterest.